The prescription your doctor writes for you at TSO Keller is completely personalized for your eyes. The way you use your eyes is unique to you. 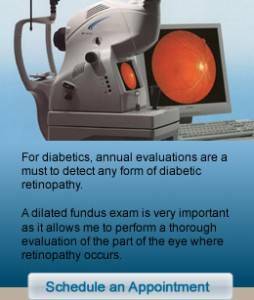 You may spend more time than most focusing on one main distance (reading, computer work) or your life may emphasize constant refocusing for dynamic activities (driving, sports, gardening). 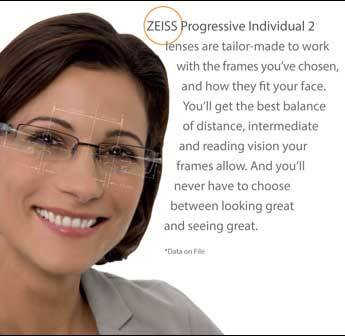 New technology in ZEISS Progressive Individual® 2 lenses allows your eye doctor at Texas State Optical Keller to enhance either the near or intermediate and dynamic viewing zones of your lenses to suit your visual lifestyle. You’ll benefit from outstanding vision for all distances, with extra vision support where you need it most. Only select practices have been certified to fit this advanced lens. Trust our experience, knowledge and partnership with TSO in Keller, TX to create a Zeiss Individual® 2 lens that is perfect for just one person – you.